Pricing for other capacities available upon request. Available with memory 1GB to 32GB. Can be preloaded with Data. Can be PMS match (MOQ 1000). For your next conference or event, why not think about putting a promotional USB wristband in with your attendee’s gift bags instead of just a normal USB? With a wide variety of colours available, and the option to preload with data, these branded USB wristbands are a great way to set yourself apart from your competition. 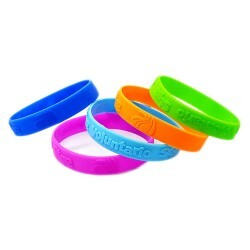 Our USB Wristbands come with plenty of memory, available from 1GB up to 32GB. They also come with two great logo print spaces. Print area A covers the wristband giving you 140mm x 12mm of printing space, while print area B covers the USB giving you 20mm x 12mm to work with. Between the two print spaces you have a huge amount of logo printing options. 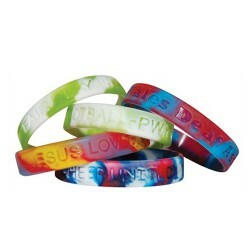 These wristbands are well made and long wearing. 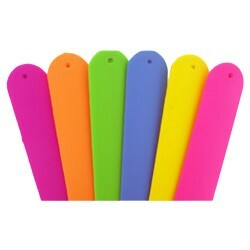 With various colours available, you can choose which one suits your promotional campaign best. The data preload option gives you the chance to preload your USB’s with data your clients and customers need. For a long wearing promotional wristband, you can’t go past our branded USB Wristbands.